This entry was posted on Monday, April 7th, 2008 at 12:56 and is filed under comp, munin, sysadmin. You can follow any responses to this entry through the RSS 2.0 feed. You can skip to the end and leave a response. Pinging is currently not allowed. Thanks so much! This is exactly what i was looking for. This is exactly what I need. 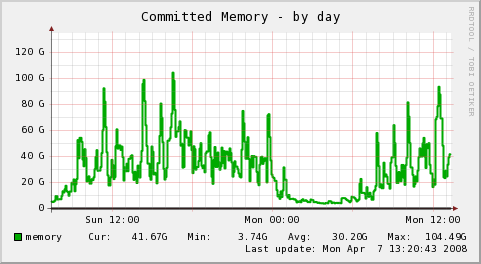 Damn that commited memory graph. How could i do this with two or more values (for example Coretemp 1,2,etc.)? 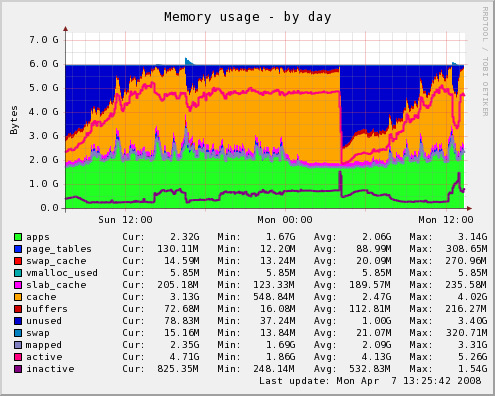 could anyone help for …unbound graphs splits…. 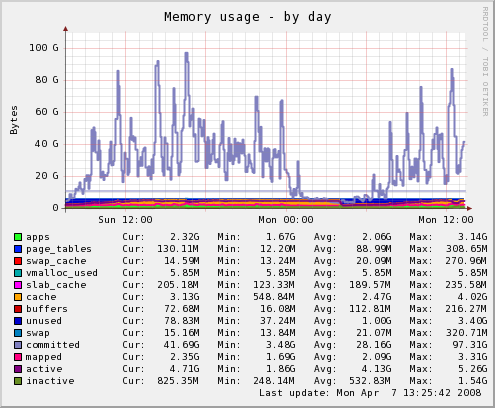 I have added below code in munin.conf, munin shows separate CPU graph for the Virtual Machine but actually their is no graph just graph icon. How can I solve this issue ? It is not generating the png file for the virtual Machine.